Kayaks, Kayakers and Kayaking Kayaking can be recreational as well as adventuresome. More and more people are taking up kayaking as a hobby or recreational sport. Kayakers are serious about their sport. Kayaks give them an opportunity to see the world from a different perspective and, if they so desire, to pit themselves and the kayak against Mother Nature's wildest rivers and rapids. Kayaking is here to stay. Kayaks give Kayakers a chance to go places that can't be accessed any other way. They allow kayakers to pit themselves against nature, to calmly paddle and enjoy nature and to renew an acquaintance with the world without the intrusion of technology. 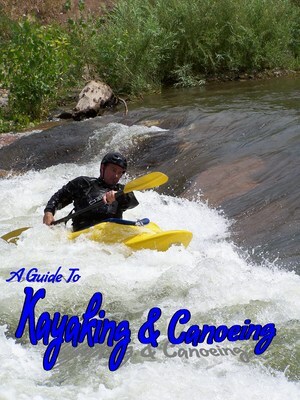 Jam packed with loads of information for the experienced and novice canoeist and kayaker. Contents include the following articles: Preparing for Your Kayaking Trip - The Basics Ocean Kayaking - The Ultimate Challenge in Exploring the Waters Canoeing and Kayaking - The Essentials Beginner's Guide to Whitewater Kayaking Gear The Environmental Impacts of Kayaking - Is it Dangerous? 22 Canoe And Kayak Plans Build Your Own!!!! !